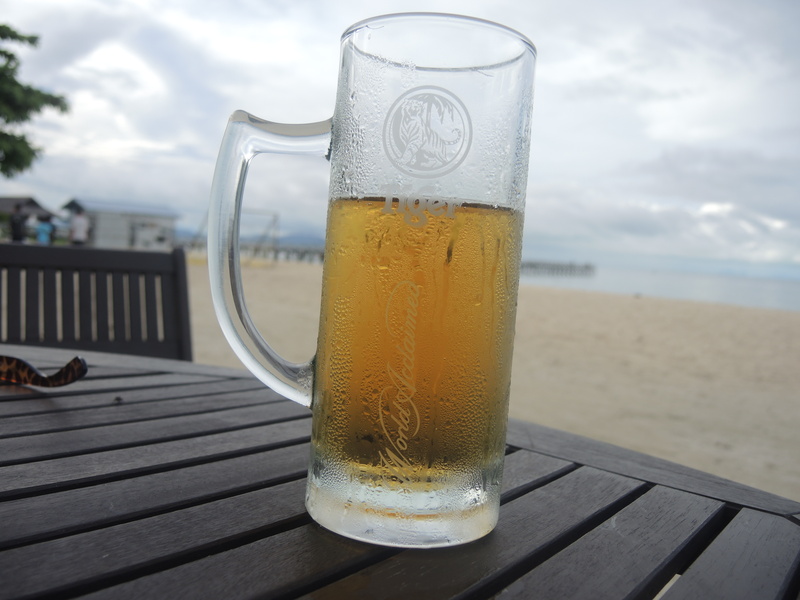 Since I didn’t get around to my pub review today I thought I’d share this beer I had on Mabul Island, Malaysia. Have a great weekend folks! This entry was posted in Travel Photos and tagged Asia, Beach, Beer, Friday, Islands, Mabul Island, Photo, Photography, South East Asia, TGIF, Travel, Travel Blog, Travel Journal. Bookmark the permalink. I could drink that, right now. So, hot here. But I’m not complaining. It’s fantastic to actually be having a summer. For weeks I thought summer would never show so I’m with you. Yippie summer. and I would love to have this beer right now on that beach. And I was sitting outside with two good friends and the better half. A wonderful night. maybe that’s what I should label my pub reviews. Well, ok…I guess that works as a good substitute for a pub review. I love your beer shots! It’s been great. Hope yours is going well. Looks like a nice relaxing place to enjoy a beer. 🙂 Have a great weekend. You too, Susi. I hope the little one feels better. It is raining here, but sitting indoor in a pub, listening to music, and having a drink – nothing like it 🙂 Happy weekend to you too! rain, pub, music, and a drink–sounds perfect! Thanks, and come on over. We can get wine as well. Tell him cheers for me. I think it rained later that night. By the way…the movie about the pub (The World’s End) is already premier in London. I am still wishing for it to be played here. I haven’t seen it, but I haven’t been to the theater in a while now. Tickets are expensive here! Will keep an eye out for when it’s on DVD. I’m sure it was delicious at the beach. Yes! Wish I was there now. I feel that way when I have a stomach virus. On many occasions I’ve been sucking on ice cubes to re-hydrate watching tv and seeing so many commercials about mouth-watering food that I can’t have. Good luck with the detox!